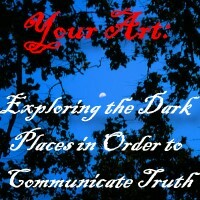 Exploring Dark Places in order to communicate truth. Discusses the challenge artists face in portraying evil authentically. Sentimental avoidance of evil, and gratuitous celebration of evil must be avoided. So how do we address such a critical facet of our artwork?